If you are in the Port Moody area and you are looking for a one stop solution for garage repair, maintenance and installation services then look no further. The Titan Garage Doors team is fully equipped to handle any garage door related inquiry. 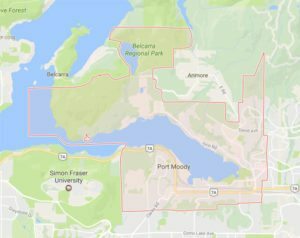 Our dedicated team has many years of experience providing the homes of Port Moody with the highest quality and service. ● Replacing the spring of a garage door is not as easy as it sounds. A garage door spring is very powerful and should only be removed by one of our expert garage door repair specialists. ● If there is a problem with the garage door cable you will notice that the garage door opens a little more sluggishly than usual or refuses to open at all. If you notice any changes in the performance of your garage door, you should get in touch immediately and we can identify the problem before it gets too serious. ● Having a garage door that you can open from the comfort of your car can make all the difference in the world when you arrive home from a hard day at work. This is especially true if it is raining or very cold outside. The Titan garage door team can have a remote opener installed in almost any garage door quickly and easily. ● If there is functionally nothing wrong with your Port Moody garage door and you are looking to give your home a new look we are ready to give you your dream garage door. You may be surprised at how nice your home can look with this simple and quick upgrade. If you are in Port Moody and need a new garage door installed or you are looking to have an existing garage door repaired or replaced then don’t hesitate to get in touch with Titan Garage Doors today at 604 313 0108.